Ginger is an important kitchen spice, but it also possesses all kinds of health benefits—some of which might surprise you. Benefits of ginger: You can get them from oil of ginger (as pictured here) as well as in powdered form, extract, tea, juice, and more. Ginger is commonly produced in India, Jamaica, Fiji, Indonesia, and Australia. The root or underground stem (rhizomes) of Zingiber officinale (from the Zingiberaceae family) can be consumed fresh, powdered, dried as a spice, in oil form, or as juice. Any of those forms will help you enjoy the health benefits of ginger. Since antiquity, ginger been used in the various traditional systems of medicine to treat everything from arthritis, rheumatism, and nervous diseases to dementia, hypertension, diabetes, and asthma to sore throat, gingivitis, and toothache. But ginger has been found most effective as a natural remedy for relieving the five ailments covered below: gastrointestinal issues, nausea, joint and muscle pains, fever, and menstrual cramping. 1. 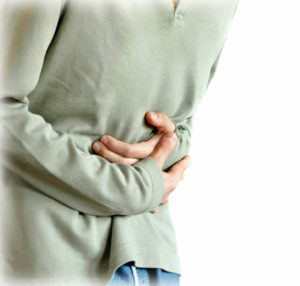 Ginger improves gastrointestinal health. The phenolic compounds in ginger are known to help relieve gastrointestinal (GI) upset, stimulate saliva and bile production, and suppress gastric contractions with movement of food and fluids through the GI tract. Furthermore, ginger is of immense value in treating various gastric ailments like constipation, indigestion, belching, bloating, gastritis, and epigastric discomfort, and scientific studies have validated these uses. Ginger has also been shown to be effective in preventing gastric ulcers induced by nonsteroidal anti-inflammatory drugs (NSAIDs like indomethacin and aspirin), alcohol, stress, and Helicobacter pylori bacteria. Ginger also has been shown effective for treating other causes of nausea and vomiting such as motion sickness or chemotherapy treatment in cancer patients. In particular, research demonstrates that compounds called gingerol and shogaol in ginger root interact with pathways that are directly indicated in chemotherapy-induced nausea and vomiting. 3. Ginger reduces aches and pains. Ginger has been shown to exert anti-inflammatory and hypoalgesic effects (decreased sensitivity to painful stimuli) for those suffering from arthritis or from exercise-induced aches and pains. In a study published in the Journal of Pain, participants consumed 2 grams of either raw or heated ginger or placebo for 11 consecutive days. Participants performed 18 eccentric actions of the elbow flexors to induce pain and inflammation. Pain intensity, perceived effort, plasma prostaglandin E(2), arm volume, range-of-motion and isometric strength were assessed prior to and for three days after exercise. Ginger is a diaphoretic, which means that it promotes sweating, warming the body from within. During cold weather, drinking ginger tea is good way to keep warm! But, it also has been utilized to break a fever in cases of flu or other respiratory illness due to its diaphoretic properties. Standard dosage for ginger is 75 to 2,000 milligrams of root or extract daily. For nausea and related digestive symptoms, add up to 1 gram (g) of powdered ginger root or 30 to 90 drops of ginger extract to warm water to sip as needed. To make fresh ginger tea at home, slice 20 to 40 grams of fresh ginger and steep it in a cup of hot water. Adding a slice of lemon or a drop of honey adds flavor and additional benefits, including vitamin C and antibacterial properties. Because of ginger’s ability to stabilize blood sugar and blood pressure levels, higher doses can interfere with blood thinners, diabetes medications, and hypertension medications. Pregnant women and those with a chronic illness should discuss ginger use with a healthcare professional. 5. Health benefits of ginger include relief of menstrual cramps. In a study published in the Journal of Alternative and Complementary Medicine, authors examined the effects of ginger, mefenamic acid (an NSAID drug), and ibuprofen on pain in women with primary dysmenorrhea (menstrual cramps). The double-blind comparative clinical trial involved 150 students (18 years old and over) with primary dysmenorrhea. Students in the ginger group took 250 mg capsules of ginger rhizome powder four times a day for three days from the start of their menstrual period. Members of the other groups received 250 mg mefenamic acid or 400 mg ibuprofen capsules, respectively, on the same protocol. Severity of disease, pain relief, and satisfaction with the treatment were compared between the groups after one menstruation. 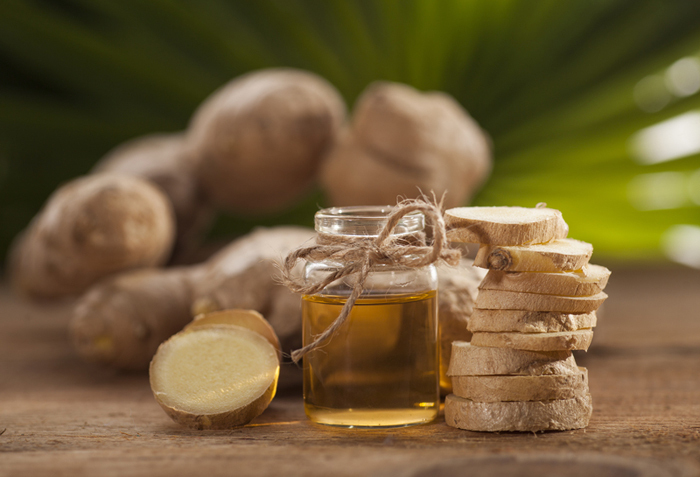 The results indicated that ginger was as effective as mefenamic acid and ibuprofen in relieving pain in women with primary dysmenorrhea. Nutr J. 2014 Mar 19;13:20. J Altern Complement Med. 2009 Feb;15(2):129-32.
aches and pains, add, alcohol, anti inflammatory, anti inflammatory drugs, arthritis, arthritis rheumatism, asthma, bacteria, belching, benefits of ginger, bloating, blood pressure, blood pressure levels, blood sugar, blood thinners, cancer, chemotherapy, chemotherapy treatment, constipation, cramping, cramps, dementia, diabetes, diabetes medications, digestive, exercise, flu, food, gastric ulcers, gastritis, gastrointestinal, gastrointestinal health, ginger, gingivitis, health, helicobacter pylori, home remedy, home remedy for, honey, hypertension, hypertension medications, indigestion, inflammation, menstrual cramps, menstrual period, motion sickness, muscle, muscle pain, natural remedy, nsaids, nutrition, osteoarthritis, pain, pain relief, pains, rheumatism, side effects, sore throat, strength, stress, sugar, ulcers, vitamin, vitamin c, weather.